Humans Can Regenerate?… Once upon a time, I thought that innovations and discoveries didn’t come from communist, socialist, or any system that wasn’t capitalist. I’ve had a lot of stupid beliefs in my time while refusing to believe documented reports because they went against my beliefs. This is called the scientific approach by skeptics and stupidity by most others. You and I can be wrong. But it’s better to be open-minded and wrong occasionally than close our minds and be wrong permanently. Eventually, these new beliefs will be questioned and replaced too. Just because, a new explanation works better than earlier explanations, doesn’t mean that innovation and understanding have ended. It just means we have gone further and should keep looking to discover our next improvement. This video is a Wowser! It is in Russian and translated as it goes. The written substantiations are in Russian too. We will share what we can find or summaries in English. Dr. Gariaev research is mentioned in “Medicine Beyond” by Prof. Keith Scott-Mumby MD, MB ChB, PhD. “Medicine Beyond” is full of mind-bending information that substantiates our ability to go far beyond the limiting beliefs of mainstream monopoly providers and their cadre of protectors and promoters of all things that profit the uber-rich and the status quo they depend on. Humans Can Regenerate And Repair? “Dr. Gariaev’s work is absolutely revolutionary, and I predict will completely replace our conventional understanding of genetics. The repercussions of this understanding have far-reaching implications on our lives and the future of our world. According to Dr. Gariaev, we now have the scientific understanding to extend our lives to 1000 years and beyond and in perfect health. By that I don’t mean theoretically, but that you could go see him today if you wanted to achieve this lifespan. In one experiment, he was able to successfully regrow damaged organs in animals within only a few days. In another experiment, a woman’s teeth regrew as a side effect of an unrelated treatment. Salamanders can regrow entire limbs and regenerate parts of major organs, an ability that relies on their immune systems, research now shows. Which way are we better off? Should we look at possibilities and declare them impossible; because that’s what we were taught? Or think “What If?” and go forward from there? We will always be taught things that are wrong. We cannot perfect what we are taught as long as there is progress. Therefore we have to be willing to question our beliefs, examine new discoveries, be willing to explore; and Question Authority; because the status quo will be defended by those who cannot accept new discoveries and innovations. The defenders are rarely evil, although their actions may be evil and vicious beyond imagination. They are people whose ignorance is exceeded only by their arrogance. It’s not so much their pride in themselves that is the problem. The problem is they don’t understand the incredible wisdom and innovation that springs from people who the authority does not consider qualified and who are tearing down the Temples of Sacred Beliefs that the High Priests of Authority Mistake as Laws of the Universe. Our Salamander story is about Mindset. If our mindset guides us into questioning, seeking innovations, and ways to test new ideas, how does that affect the rest of the world? Our Mindset is a miracle and miracles are a threat to anyone with a vested interest to anyone who makes their living from the status quo; Monopolies, Cartels, Bureaucrats, and the infrastructures that support and maintain them. Google, Facebook, Televisions Stations, Blogs, and even Charities receive large sums from advertisers who profit from creating and defending profit producing opportunities by creating misery for the world. They leap to the defense of the status quo. We encourage you to explore your own abilities and to honor the gifts of others as well. Arrogance is not thinking highly of yourself. Arrogance is assuming that others are beneath you. Humility is what you think of others and not what you think of yourself. Most of the uber-rich are arrogant. There are a few who are not. We cannot think of any group as a whole without descending into the same trap as the arrogant. We all are better and worse at different things and no one is superior to all or even most. Humans Can Regenerate Too… Today… Now! The methods aren’t perfect. Research and experimentation is ongoing. One of the most promising areas is our own stem cells… Not those from someone else. The ones we have in our body that are not living up to their potential. We’ll explore them in other posts. But stop and think. You cut yourself and your body heals the skin. You can grow more brain cells. Your liver can grow more tissue. Medical schools taught these things were impossible. They did concede that our bodies would heal small cuts. Humans Can Regenerate… And those willing to explore the limits of our knowledge can help. Over coffee and tea, join us as we explore the unknown worlds of what may be. The US has the highest health costs in the world with the worst ranking for health in our population. And the US has the most profitable health empires in the world. The problems are worldwide. The medical cartels, monopolies, and political elite are pushing to make other countries as bad as the US. There have got to be better solutions than monopolies protected and promoted by political elites. How is this Green Tea different? You can add the Health & Healing Benefits of 16 cups of Green Tea to One Cup of Your Tea or Coffee to create the Healthiest Green Tea or Coffee on the Planet… Do what other healthy and long-lived people do. Long-lived, healthy Japanese average drinking over 10 cups of green tea per day. You can add this special concentrate to the drink of your choice or swallow a convenient capsule. I like opening and adding this Green Tea Capsule to my coffee pot in the morning. I’m getting 16 cups of Green Tea Health & Healing Benefits with my coffee. In the afternoon I make one or more cups of tea or create lattes with it. I swallow a capsule just before bed; because this decaffeinated green tea supports better sleep as well. This twenty-year research project was started by Dr. D. James Morré, Ph.D. and Dr. Dorothy M. Morré, Ph.D. to discover a better method to identify cancer cells. 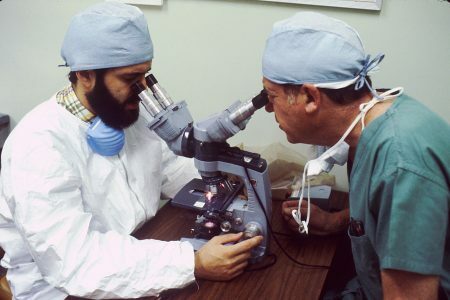 Mainstream methods of identifying cancer are years behind the development of cancer. Cancer may be growing over a period of 10 or 20 years before it is discovered. Early discovery is better than late discovery; because you are dealing with a much smaller problem. 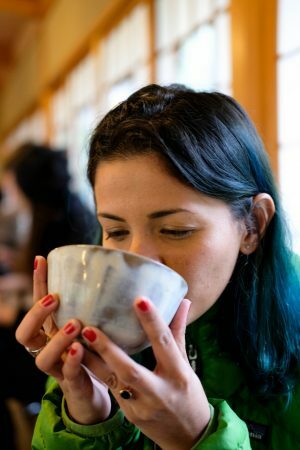 In their research into what is a healthy cell and what is an unhealthy cell, they stumbled across the historically known and justified reputation that green tea is good for health and longevity. They created the ONCOblot® tests for the early detection of 24 forms of cancer. They explored the benefits of Green Tea for cellular health. A blend of Green Teas was created using their research that could provide the health benefits of drinking 16 cups of Green Tea in one cup of tea, coffee, or in one convenient, easy to swallow capsule. Then they added Cool Capsicum. The Hot portion of chili peppers is Capsicain. We are using the cool portion and not the hot portion. Both are good for you. The Morré’s $100,000,000.00+ project with over 20 years of research also found that adding Capsicum could increase the effectiveness of Green Tea Healing Benefits 10+ Times. So there’s just the right amount of capsicum in our tea to provide exceptional delivery of the health benefits of green tea into all the cells of our bodies. I like the taste and, until recently, I almost never drank tea. I still drink my 5-7 cups of coffee each morning… And coffee is an exceptional health supporting drink. But now I get the benefits of 16 cups of green tea in my coffee. I just open a capsule and add it to the bottom of my empty coffee pot and press the start button. It’s that easy. I know that many people do not know of the recently proven health benefits of coffee. We’ll add a post about coffee benefits later and put a link here. I have started drinking tea in the afternoons. I am experimenting with the many ways to add this $100,000,000.00 green tea to my food and drinks. Some afternoons, I also just open the capsule to make a cup of $100,000,000.00 Green Tea; because it tastes good all by itself. So if you want to improve your health and longevity or Golden Age (which is the experience of exceptional health with graceful aging), add this Japanese tradition of drinking over 10 cups of Green Tea per day to your daily schedule with this easy to use this $100,000,000.oo tea selection for over 16 cups per day in one cup of tea or one convenient capsule. If you ordered 10 Cups Of Green Tea per day from Starbucks, that’s $37.50 daily or $1,125.00 per month… Why that’s only $13,687.50 per year! In order to make this $100,000,000.00 green tea available for only $1.11 per capsule, we have chosen to offer the privately labeled 180 capsule bottle (That’s a 6 month supply at 1 capsule per day.) from triple MD: Dr. Ben Johnson, MD, DO, NMD and a Dr. of Science. Disclaimer Alert! You are unique. Anything published on our Website is by necessity general information that may Not be applicable to you; because you are unique. Some of the information may be about someone’s unique situation and experiences. The information presented here is because we tea and coffee drinkers find it interesting and like to share our discoveries, questions, and thinking. This may be a starting point to find out more while you enjoy your daily cups of green tea, coffee, lattes, or even a quick and tasty capsule; because we’re all pretty certain that we can trust the historical benefits of consuming green tea. These statements have not been evaluated by the FDA. Our information, products, and services are Not intended to diagnose, treat, cure or prevent any disease. Our information is for everyone, but each of us is unique. We don’t even know your name. Use your health providers to ask about your individual circumstances. We Choose to Exercise Our Individual Freedom as a Perfect Flavoring to Our Green Tea & Coffee! Join Us for Health Freedom with other Mavericks as we launch from the country with the most expensive, most profitable, politically protected and promoted health cartels in the world. Monopoly medicine provides pathetic performance. The US ranks at number 34 for performance, is getting worse each year while raking in incredible profits. This Link Only for those who want: Buy 3 Get 1 Free!